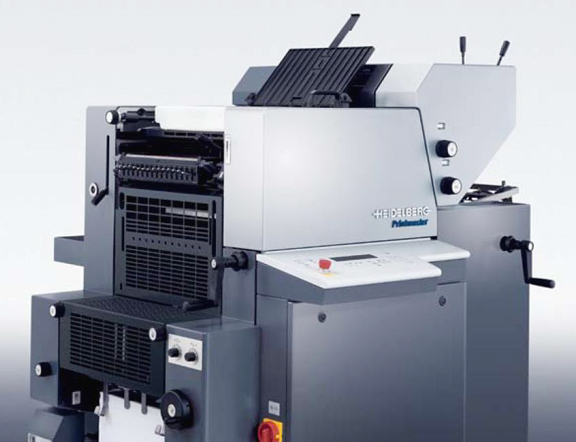 Thanks to a high degree of automation, the Printmaster optimally meets the prerequisites for highly productive work in small format offset printing. Its extremely short makeready times permit fast job changes and thus measurably greater efficiency when producing single or two colour commercial jobs. The Printmaster's superior inking capacity performs at 10,000 impressions per hour, on project sheet sizes ranging from 3.5"x5.5" up to 13"x18".